Three-time and reigning ACM “Entertainer of the Year” Jason Aldean earns his 22nd career No. 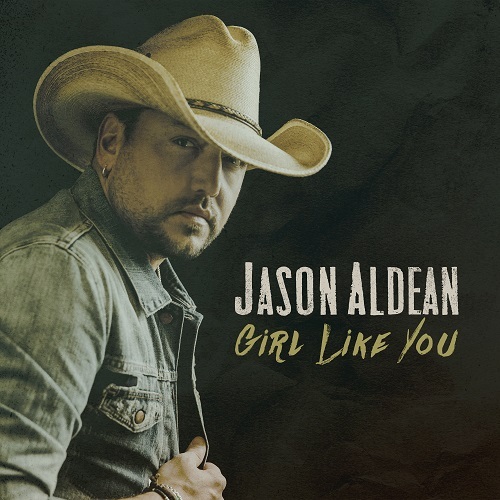 One today as “Girl Like You” takes the top spot on the Mediabase/Country Aircheck Singles chart while it spends its second week atop Billboard’s Country Airplay this week. Serving as the third consecutive multi-week chart topper from his record-breaking eighth studio album album REARVIEW TOWN (Broken Bow Records), the genre-blending song follows the success of his multi-week No. One “Drowns the Whiskey” featuring Miranda Lambert and the PLATINUM hit, “You Make It Easy.” Its “blustery production matches Aldean’s angst-filled vocal delivery” (Rolling Stone) once again “pushing the boundaries of country music” (USA Today). Aldean will fuse this type of “emotion-driven country rock that earned him a spot as one of the top live performers” (UPROXX) on the road this summer with his 2019 RIDE ALL NIGHT TOUR launching May 3rd in Uncasville, CT, with special guests Kane Brown, Carly Pearce and Dee Jay Silver. Only the second Country act in history to score four consecutive chart-toppers on the all-genre Billboard 200 albums chart with his current album REARVIEW TOWN, with six of his previous LPs having achieved Platinum certification or better. The path paved by his wide-open sure-footed approach has defined the genre’s 21st century including more than 17 million total sales and countless recognition from the GRAMMYs, ACMs, CMAs, BBMAs, People’s Choice Awards and more. For more information and for a full list of upcoming tour dates, visit www.jasonaldean.com.